Vail tops the charts every year in ski publications as the best Colorado ski resort. 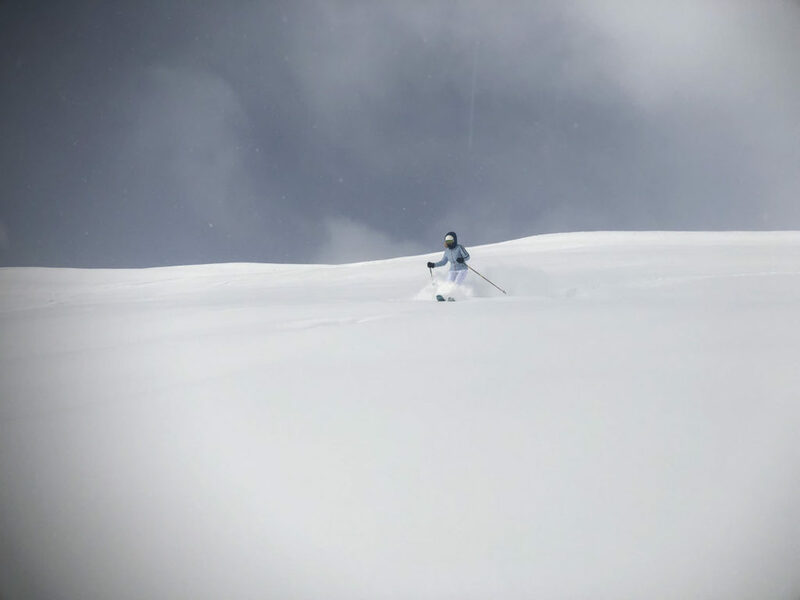 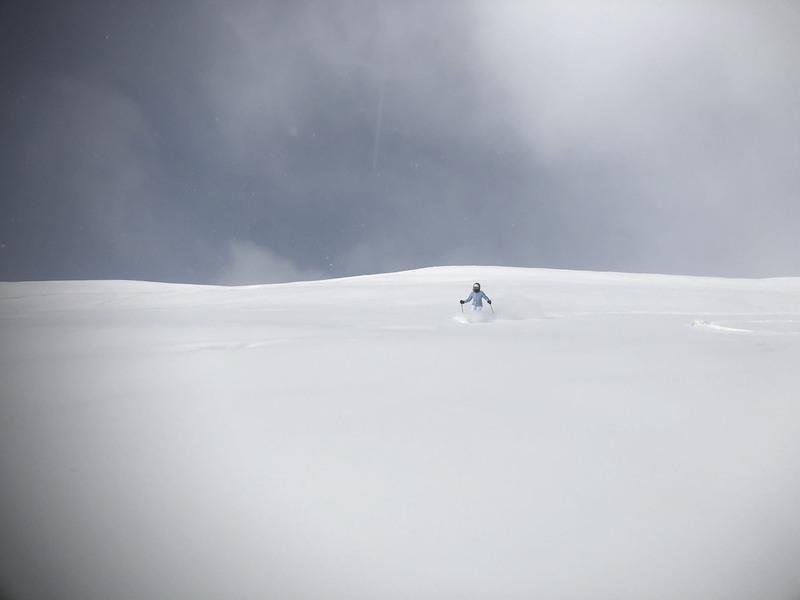 Vail is huge, with a great ski town at the base, and great lifts to get you up and out – into Vail’s immense Back Bowls. 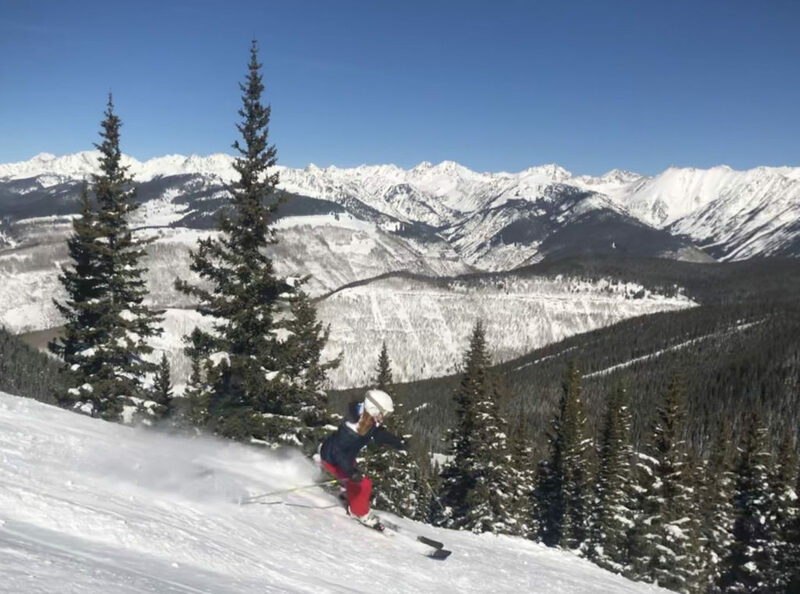 Vail is truly the king of Colorado skiing. 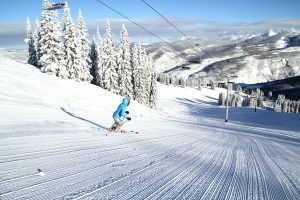 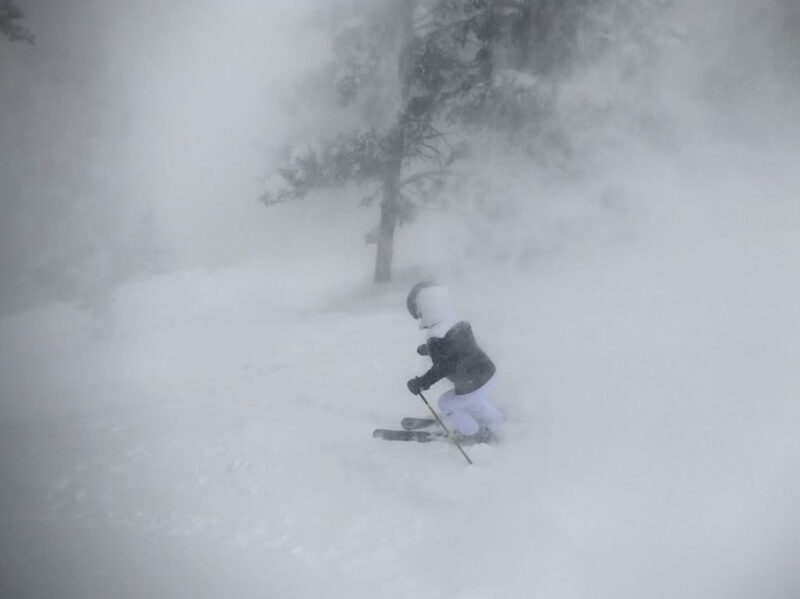 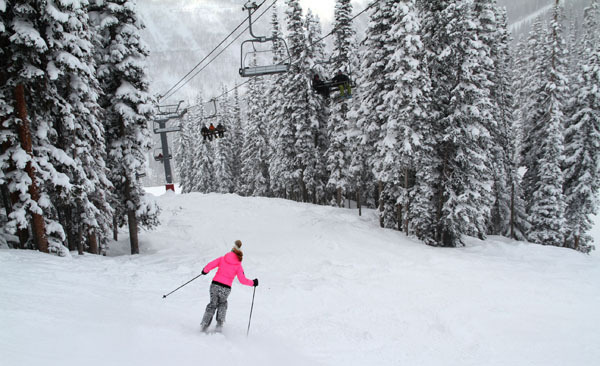 See Vail Ski Photos. 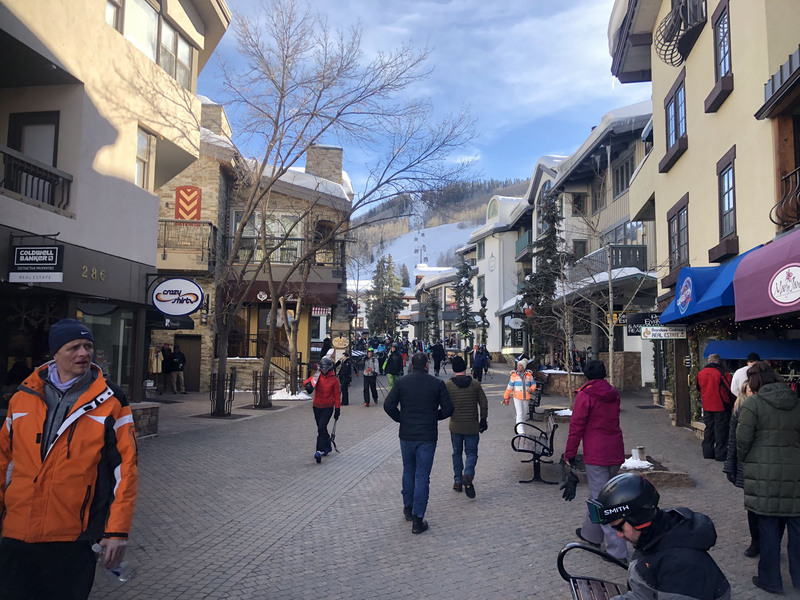 Why does everyone love Vail? 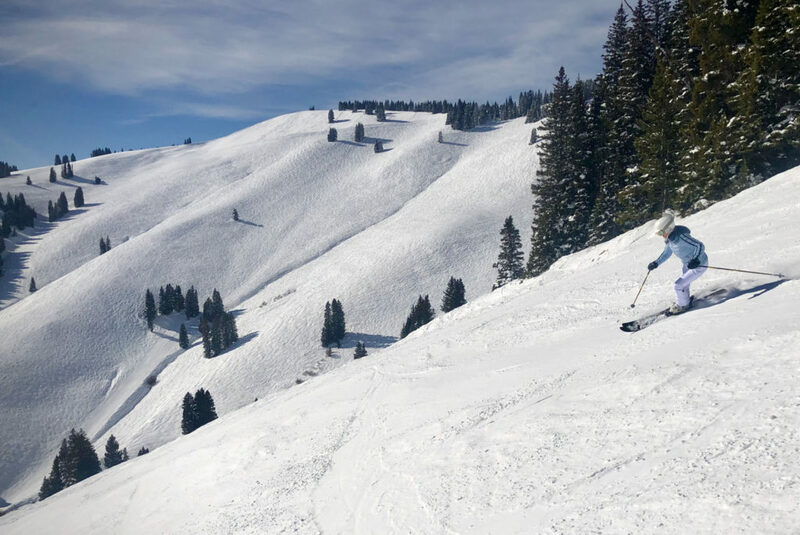 Let’s start with the perfect ski mountain, with ideal fall line terrain, and a beautiful base village inspired from the Alps. 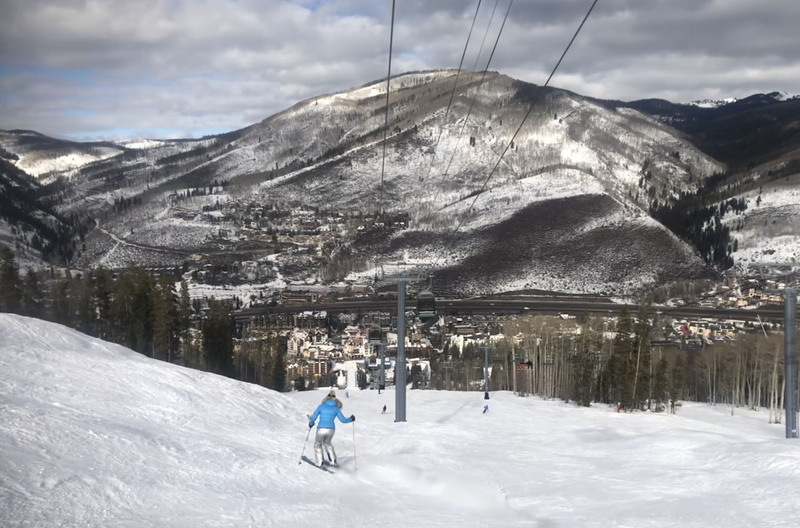 Vail has over 5,200 acres of skiing, bountiful snowfall, high blue sky and gorgeous Colorado sunshine unless its dumping snow. 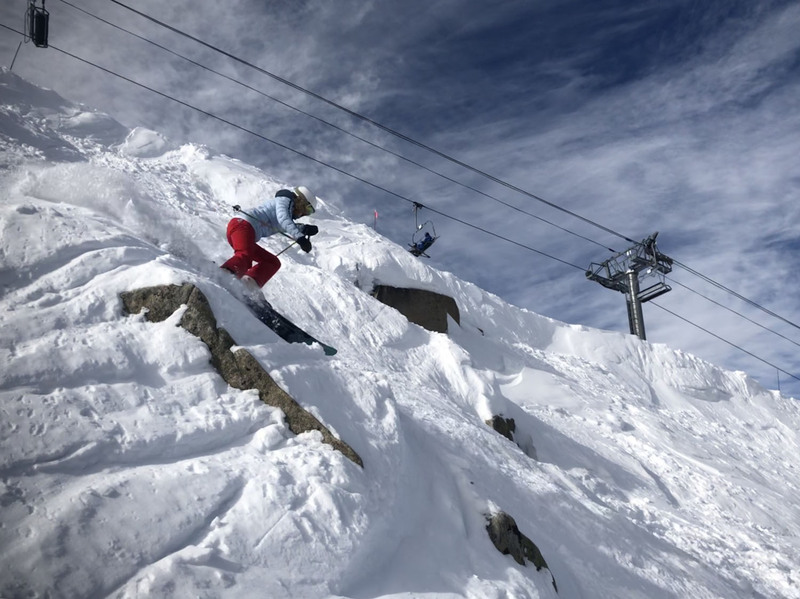 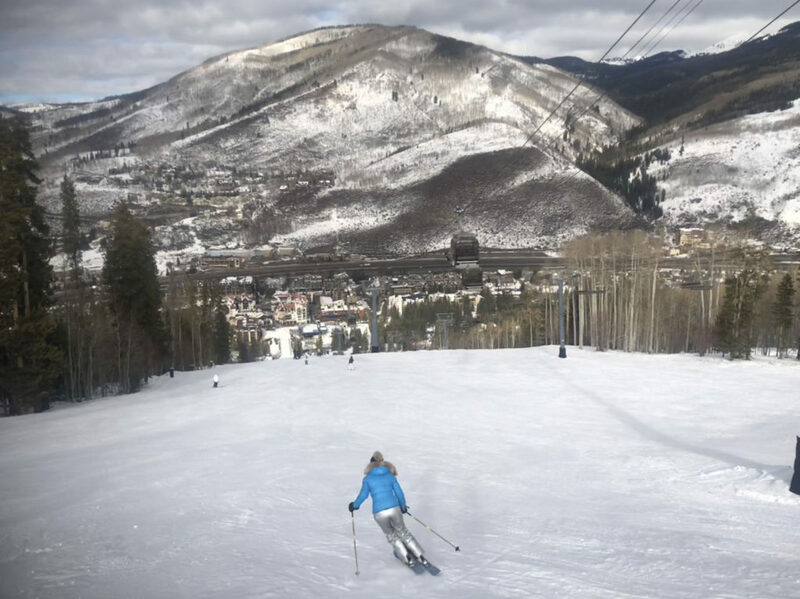 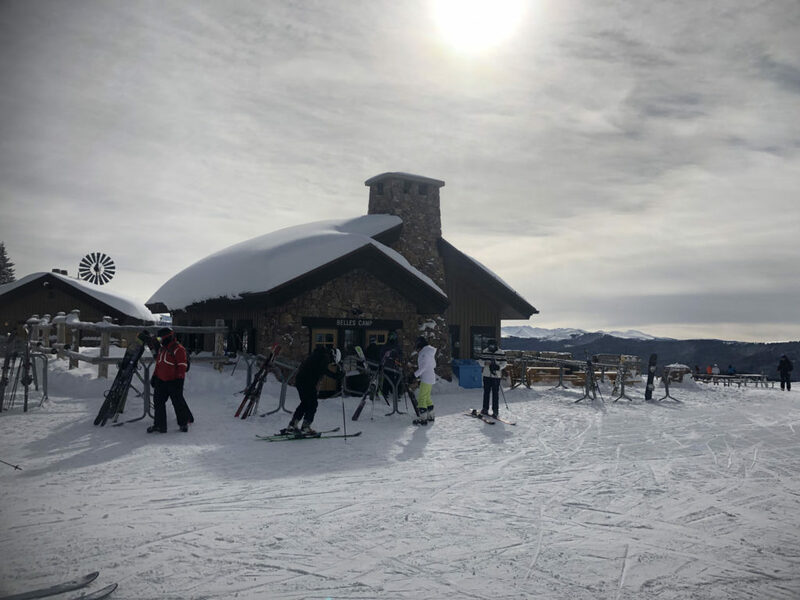 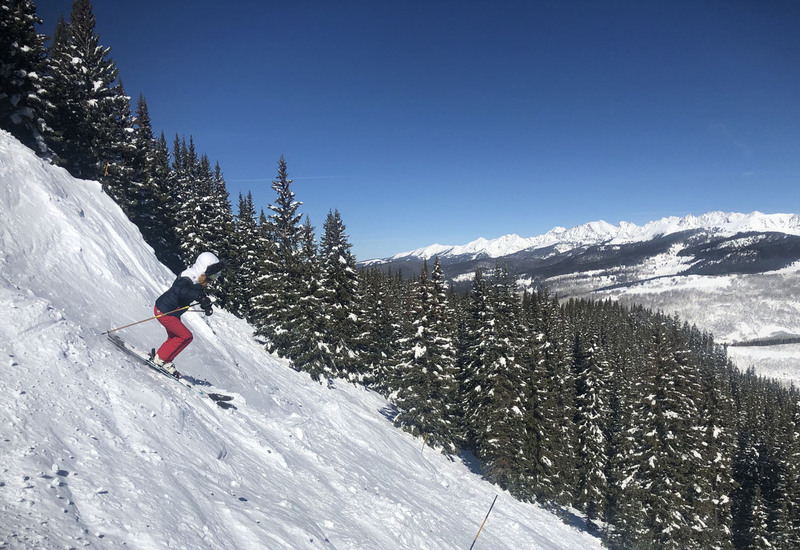 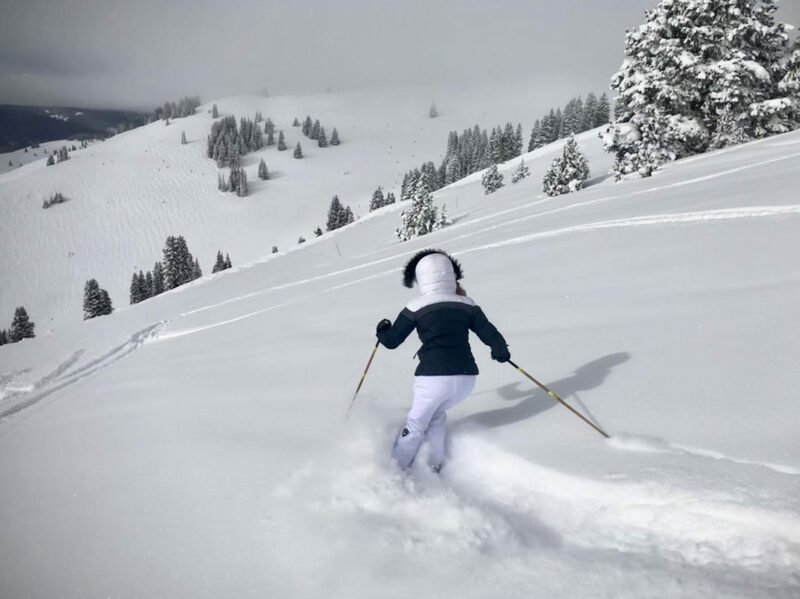 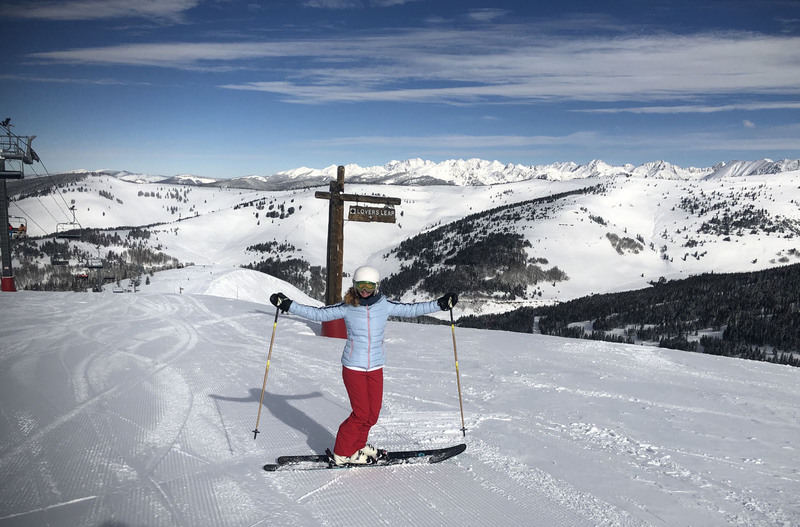 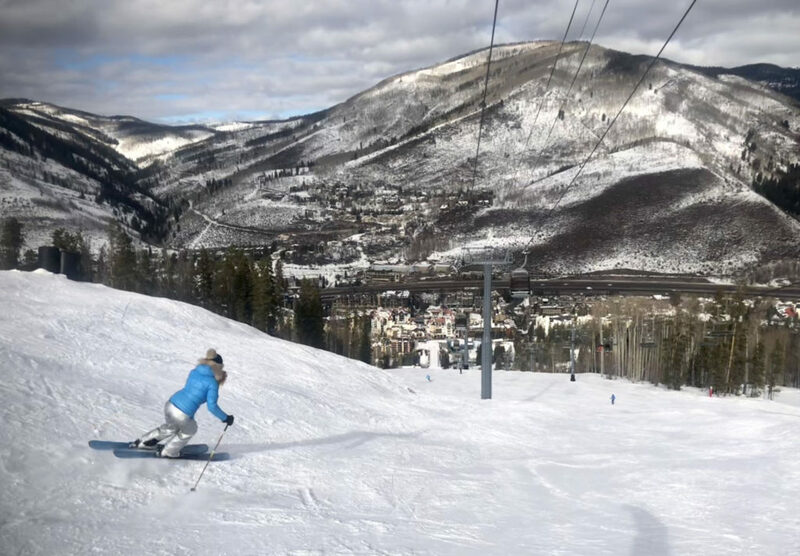 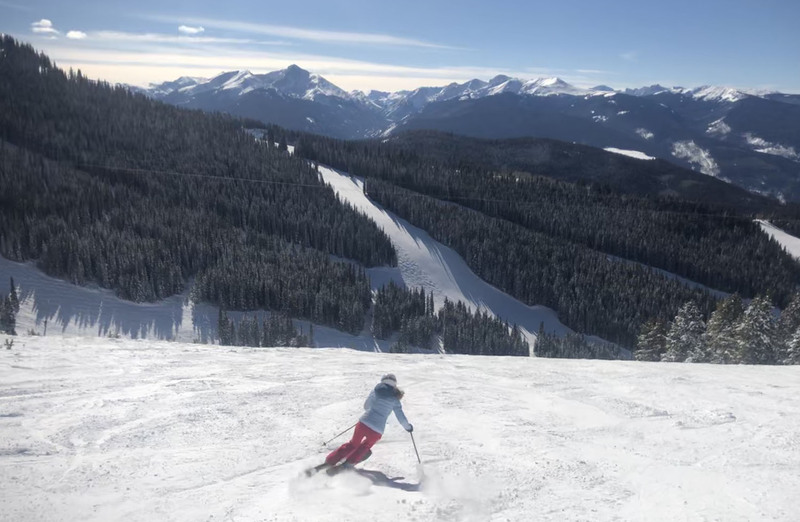 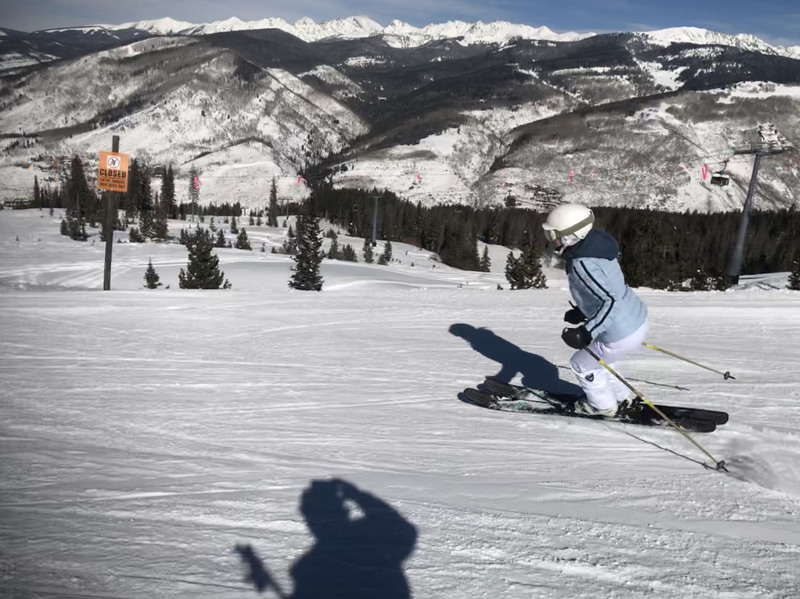 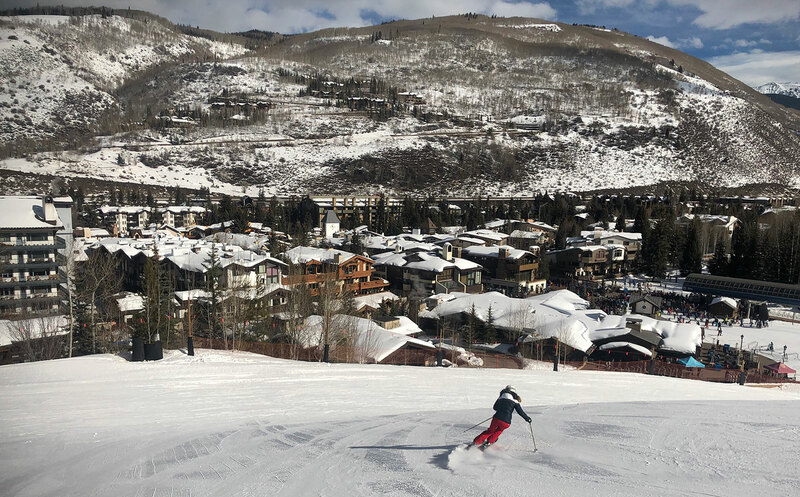 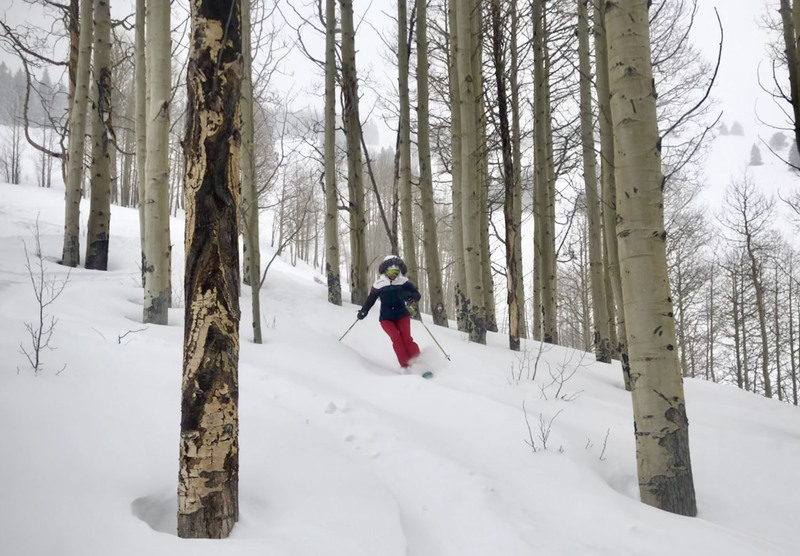 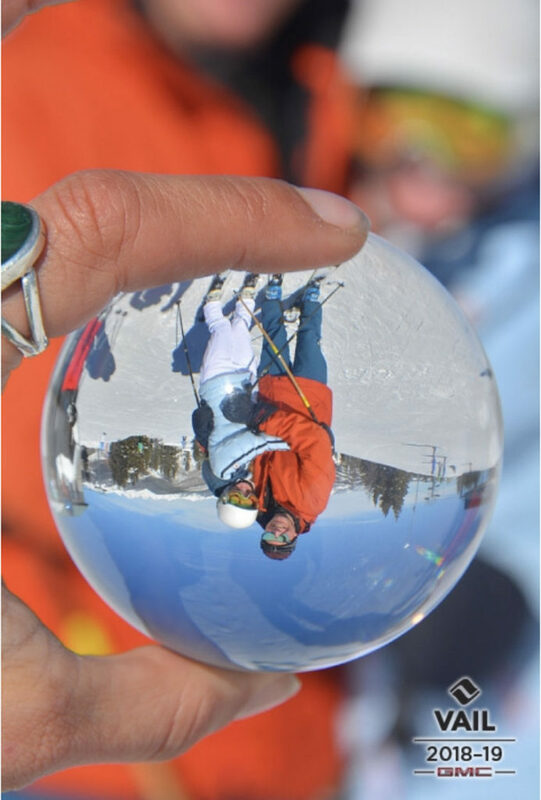 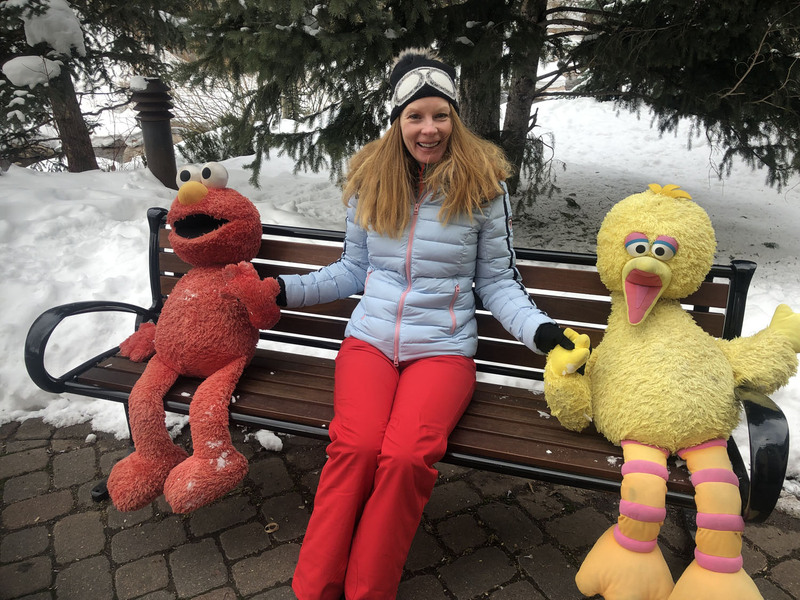 For families, Vail has excellent kids ski lessons and adventure camps, amusement ski parks like Fort Whippersnapper, Eagles Nest Adventure Ridge with a plethora of outdoor activities, snowmobiling and zip-lining on the mountain. 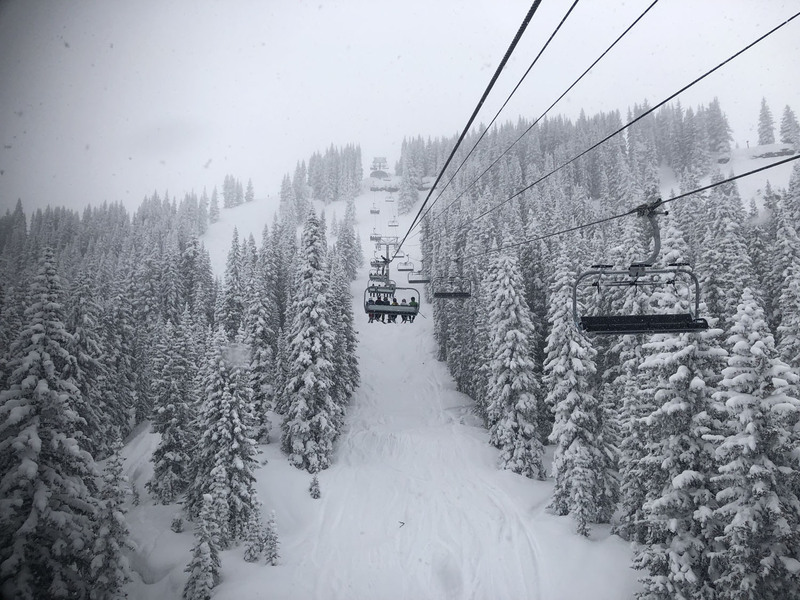 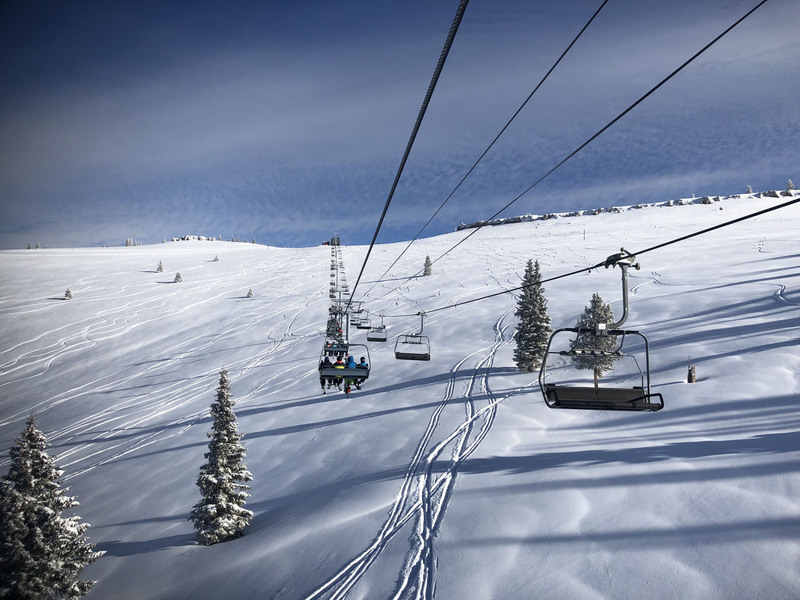 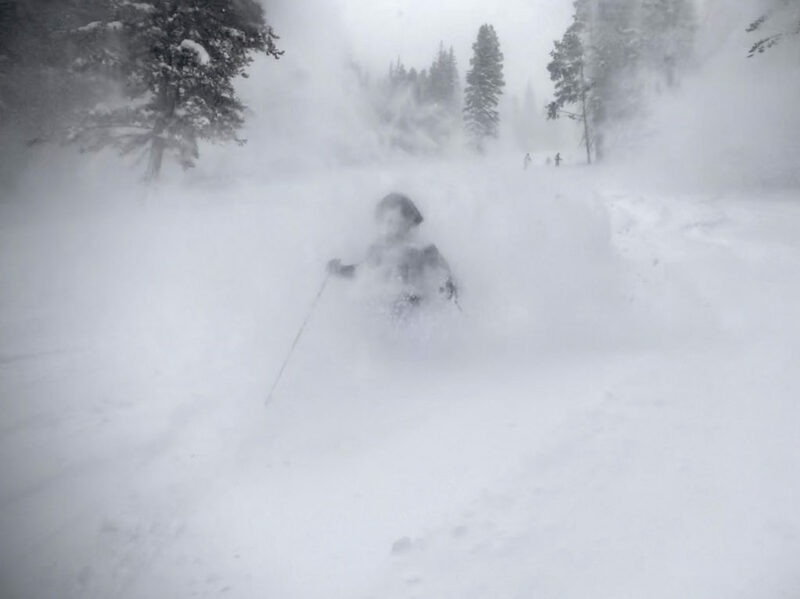 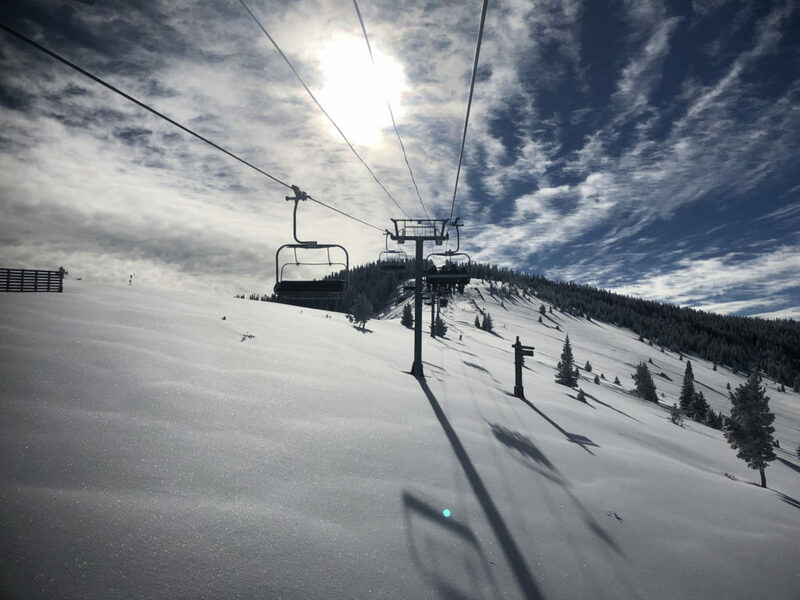 Vail has dominated skiing in Colorado, since 1962, constantly upgrading lifts and groomers – adding a new 10-passenger gondola for their 50th with heated seats and WiFi, and a new high speed six pack replaced lift #4, the Mountaintop Express. 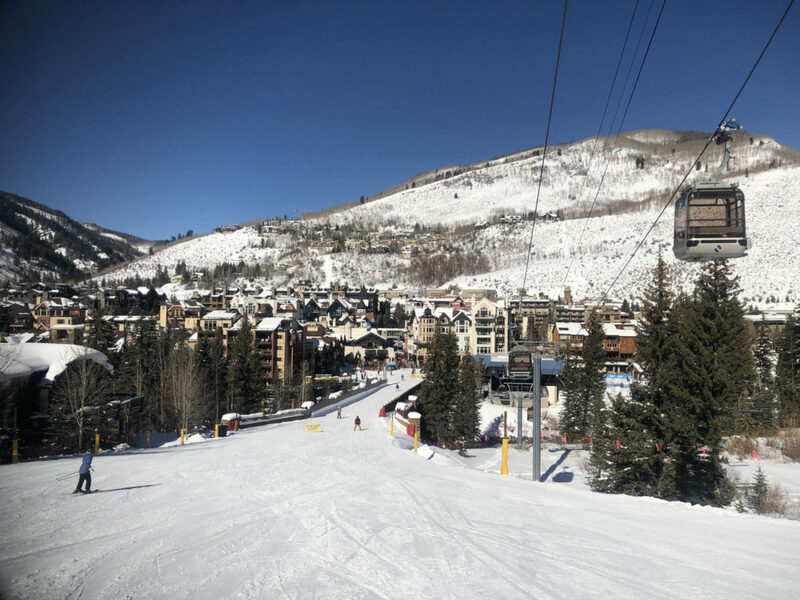 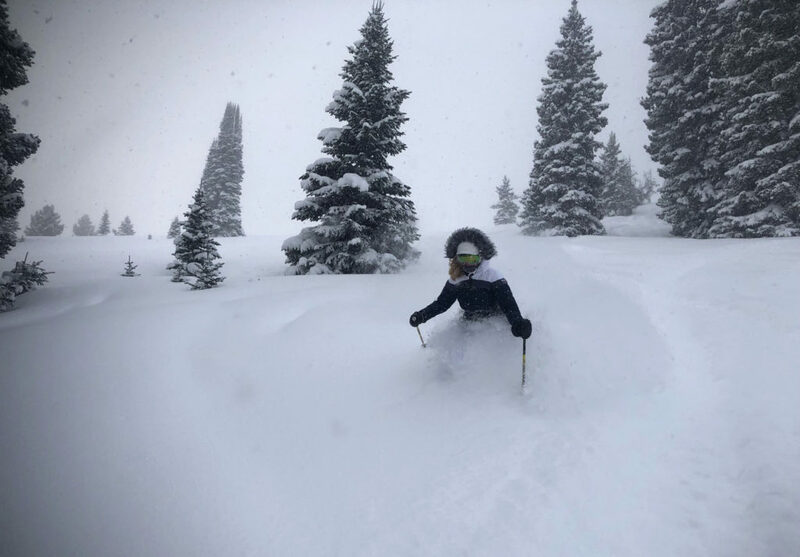 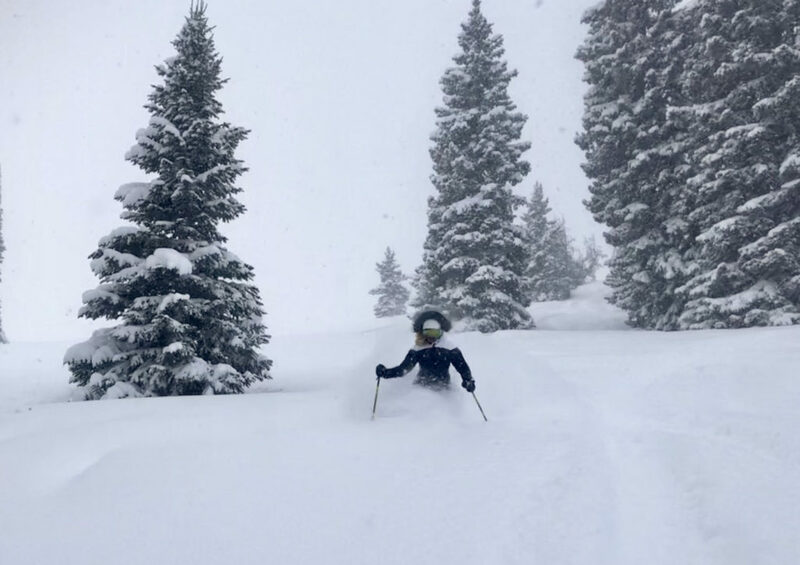 Vail’s Front Side has dozens of the best signature trails, wake up runs Cappuccino and Christmas, long and cascading Simba and Born Free, and curvy Gandy Dance are favorites. 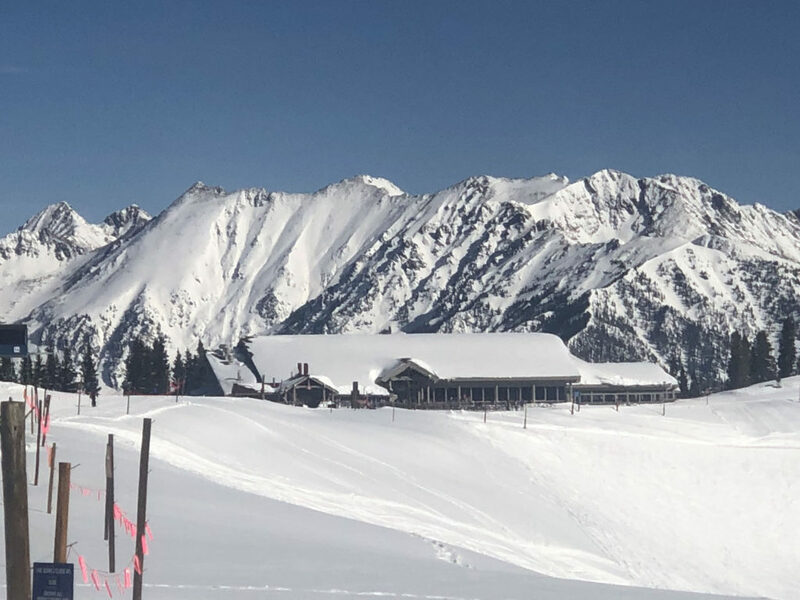 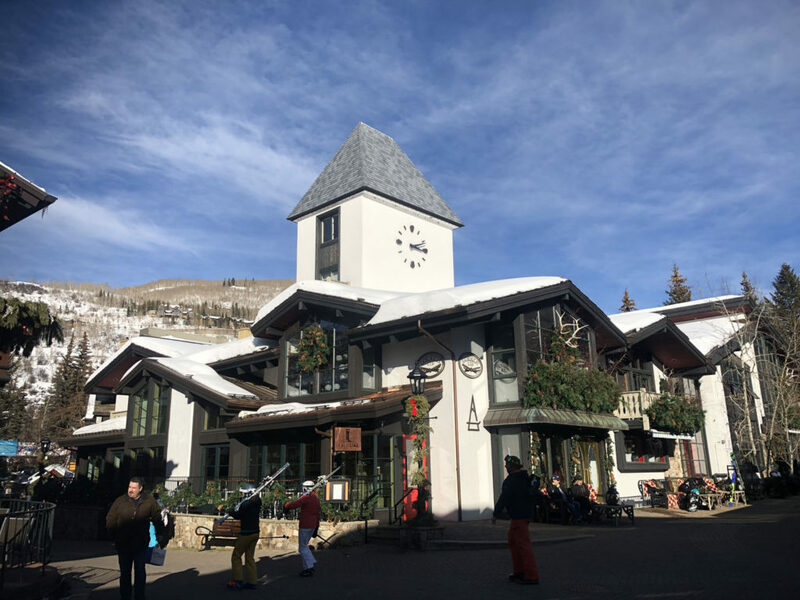 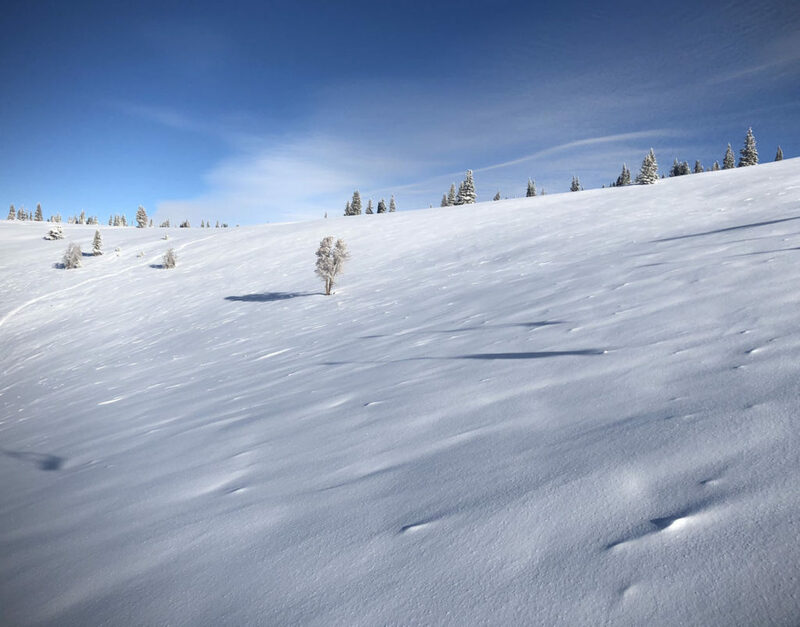 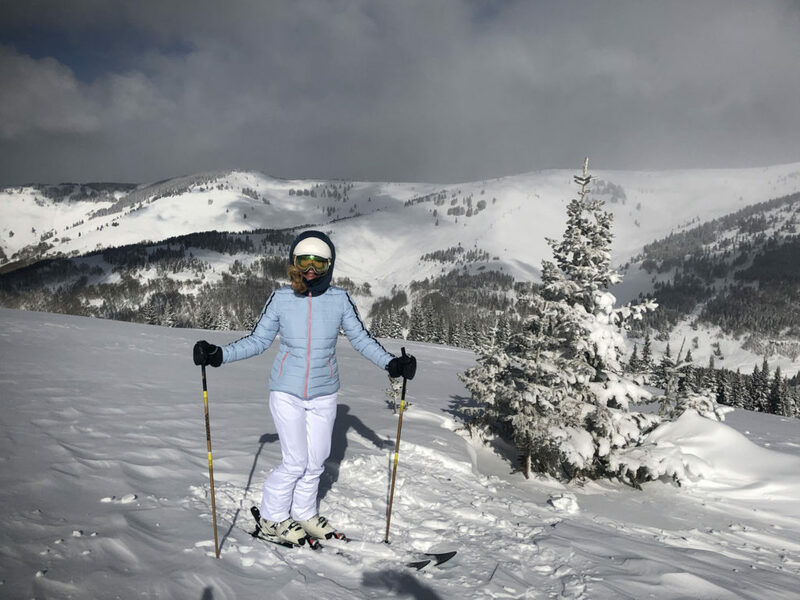 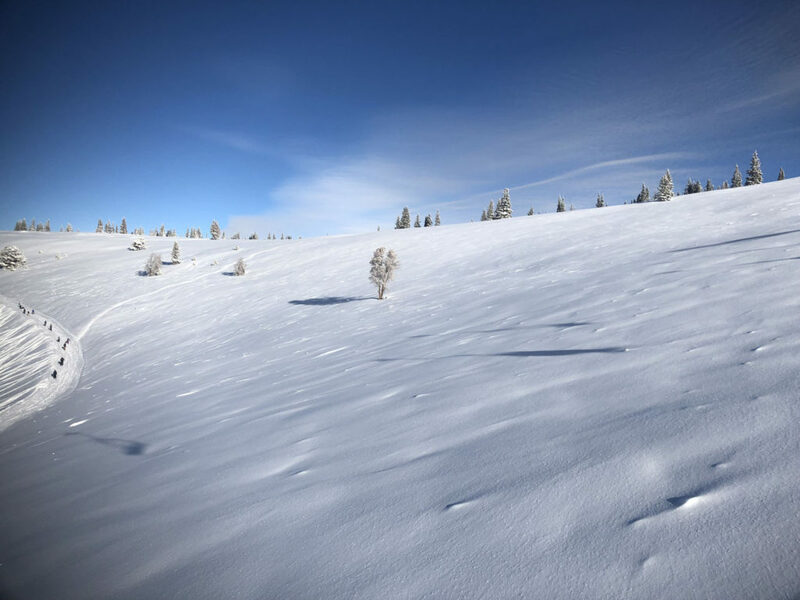 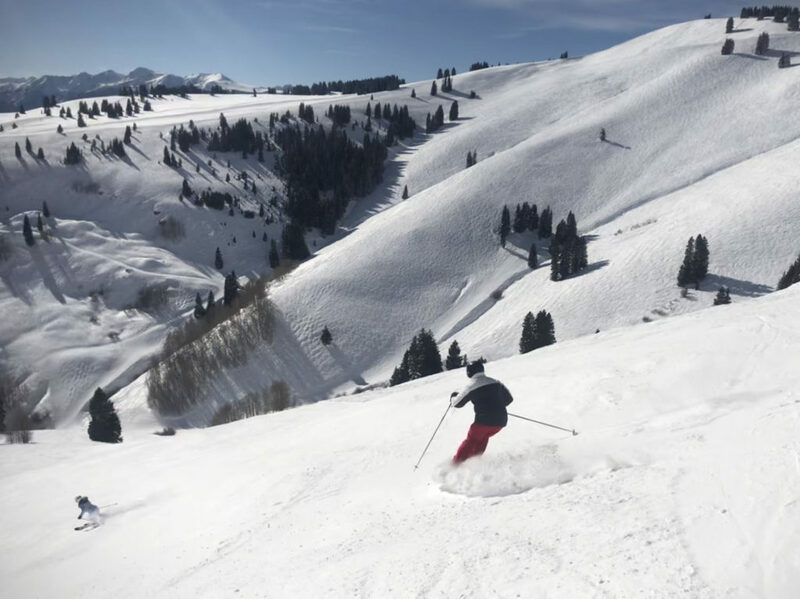 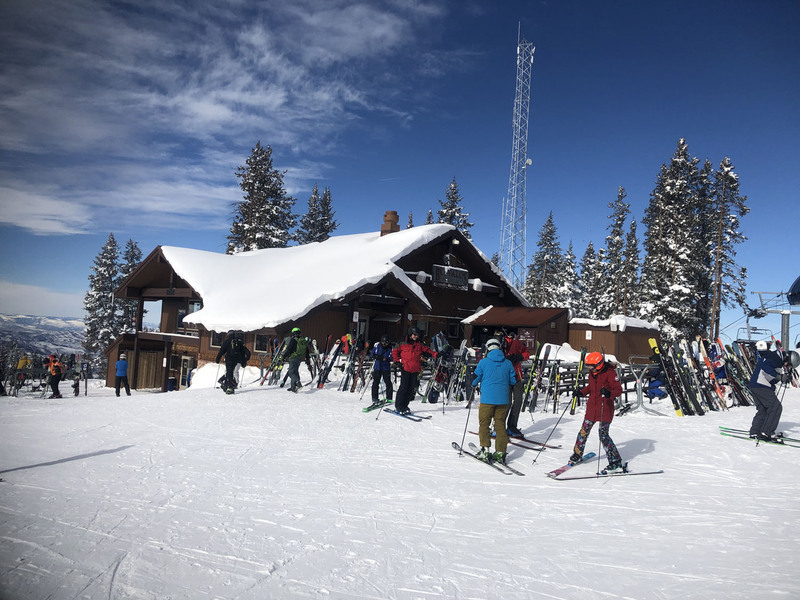 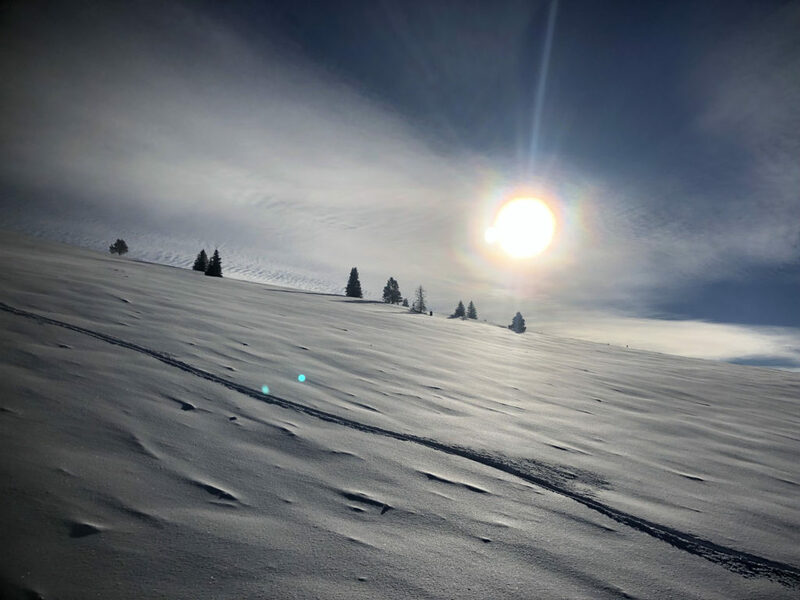 The 4-mile Riva Ridge named for the 10th Mountain Division founders here is long, steep and superbly scenic, leading you to mid Vail and the beautiful 10th Mountain Lodge restaurant for a sophisticated ski in ski out lunch, with slippers. 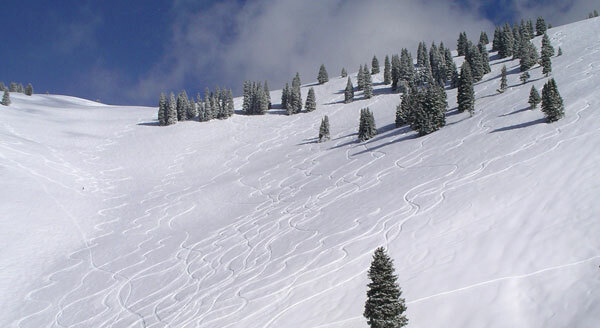 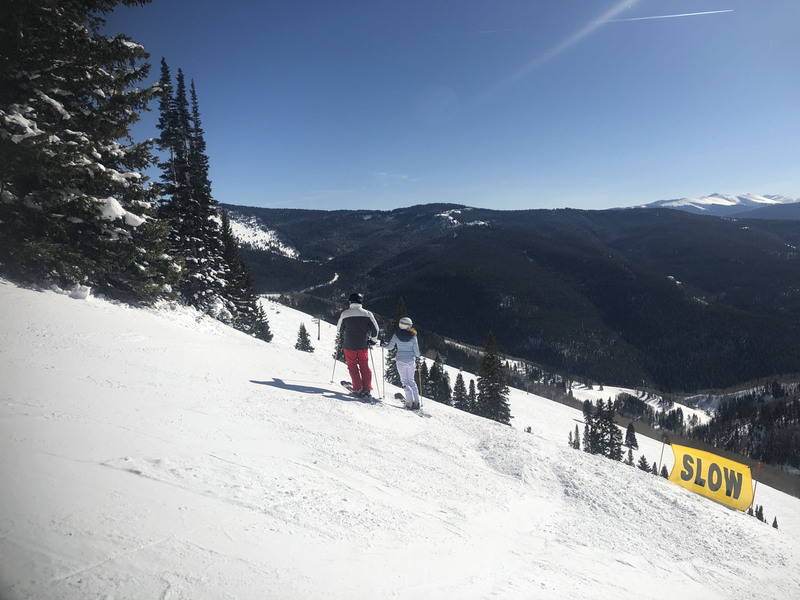 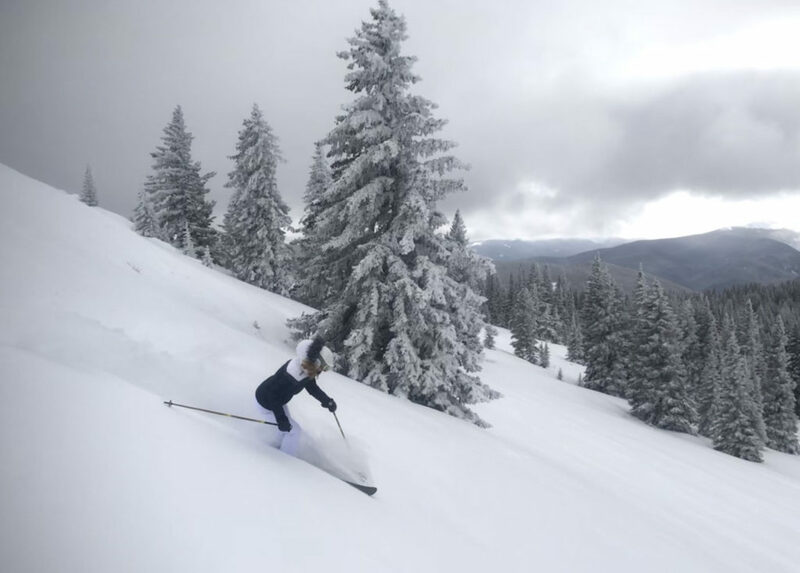 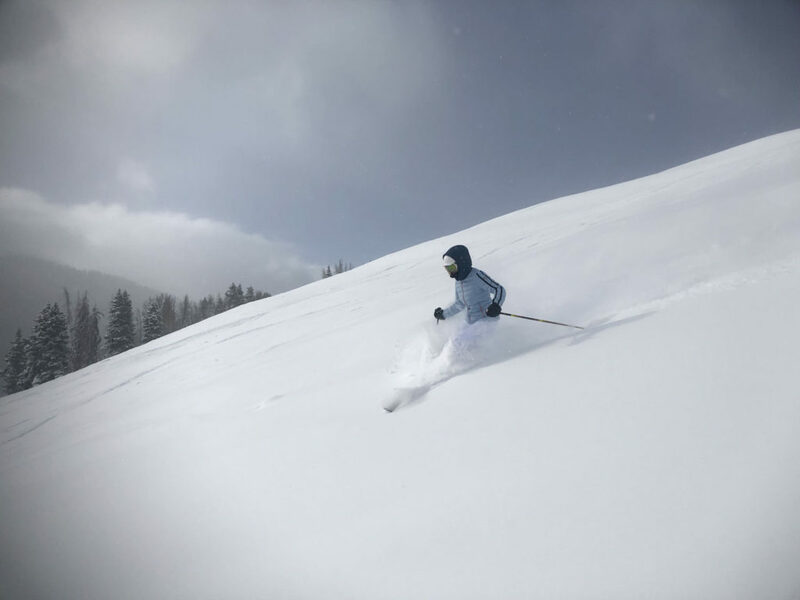 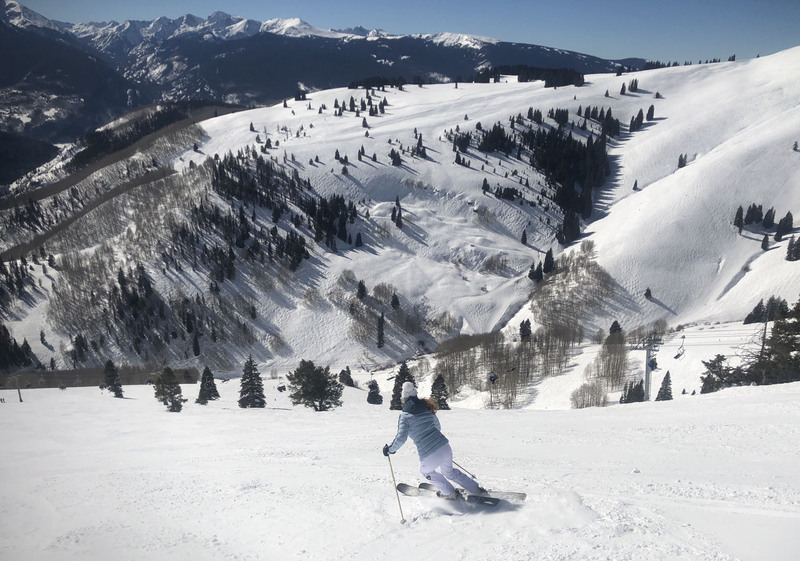 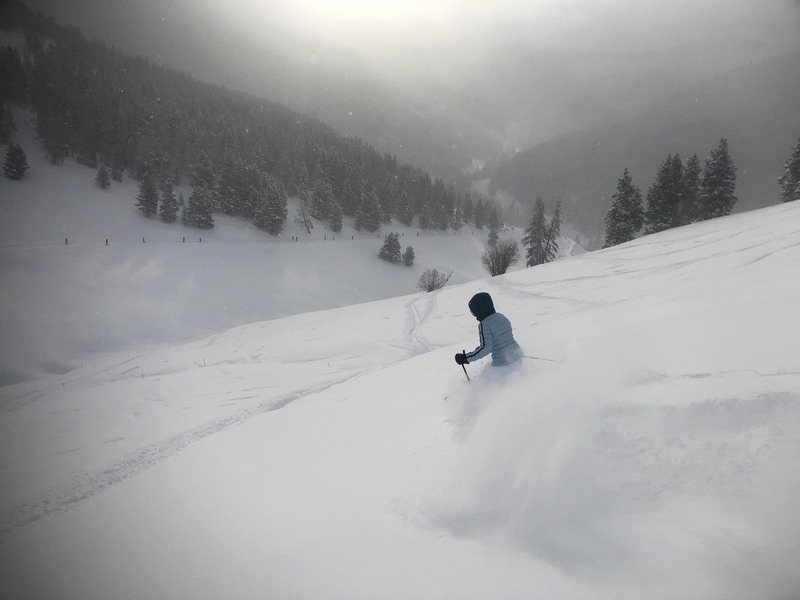 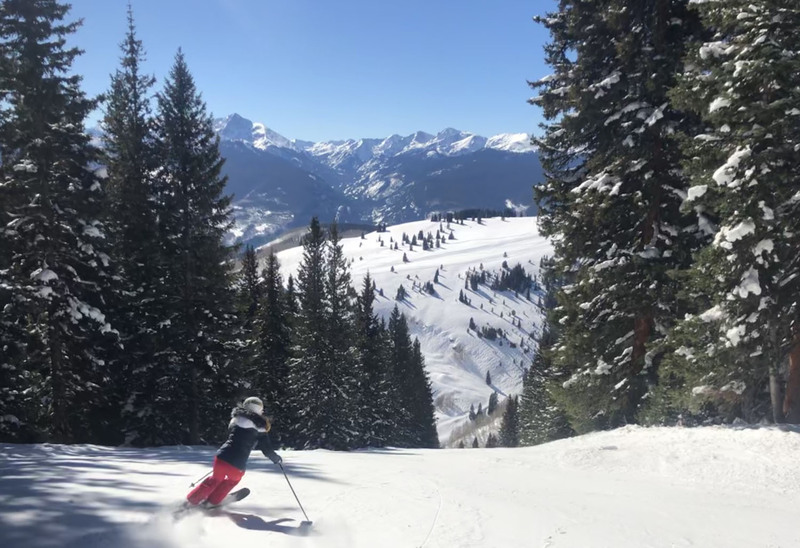 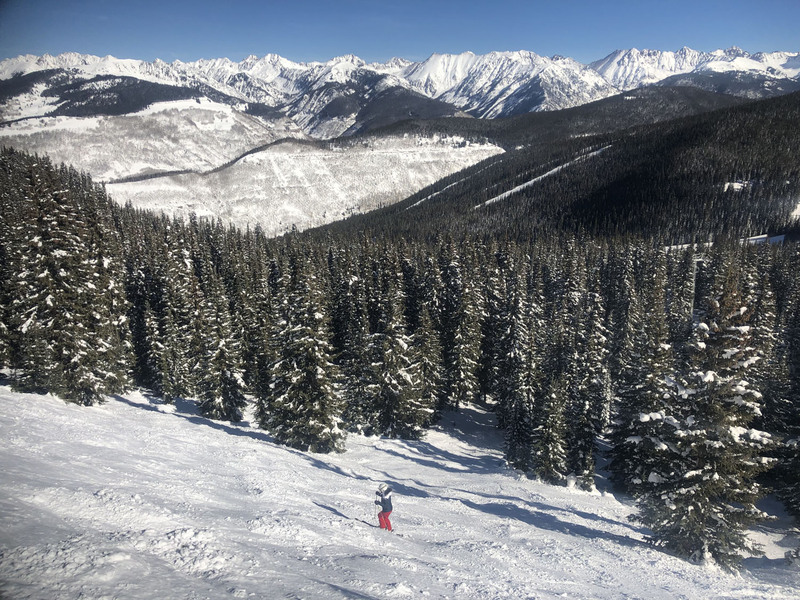 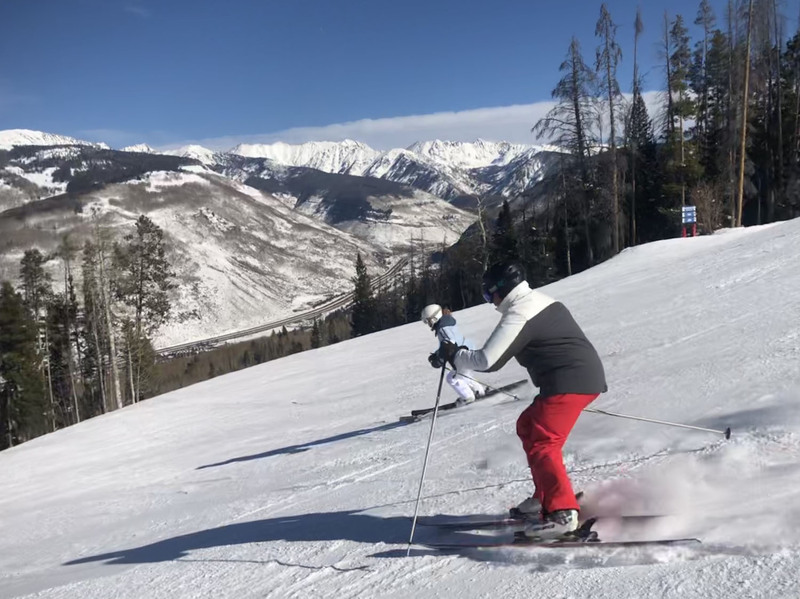 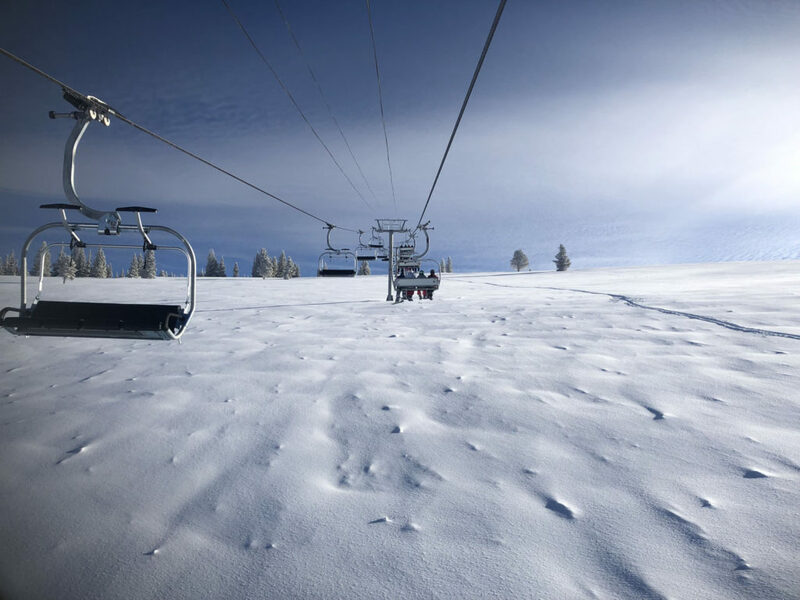 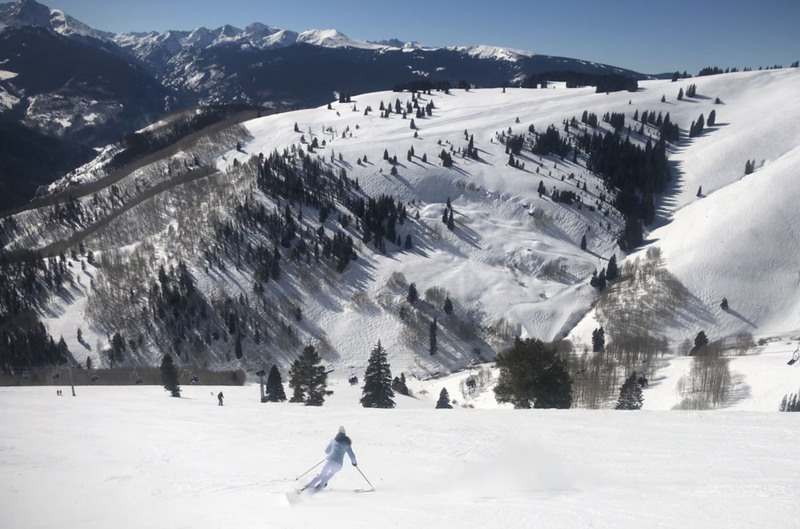 Vail’s back side offers seven wide-open bowls encompassing 3,000 of Vail’s 5,289 total acreage, this is natural snow terrain, untouched and often untracked but served by high speed lifts. 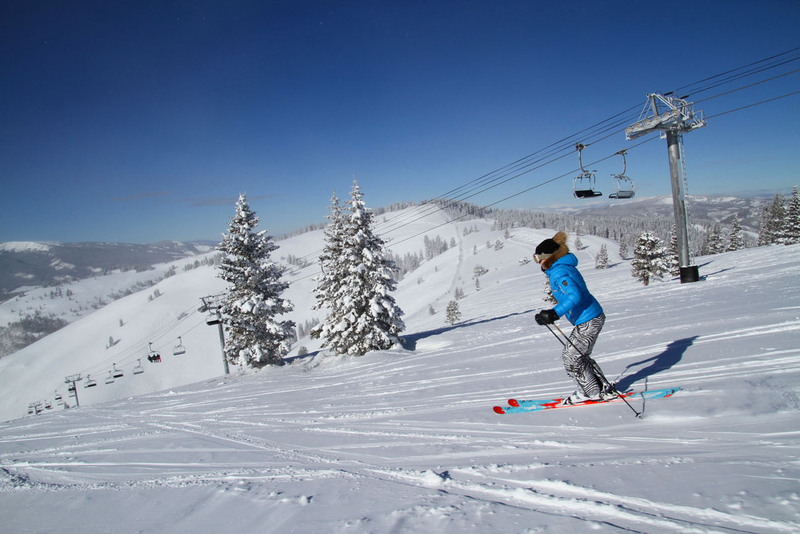 You can ski from Sun Up to Siberia to Outer Mongolia -literally. 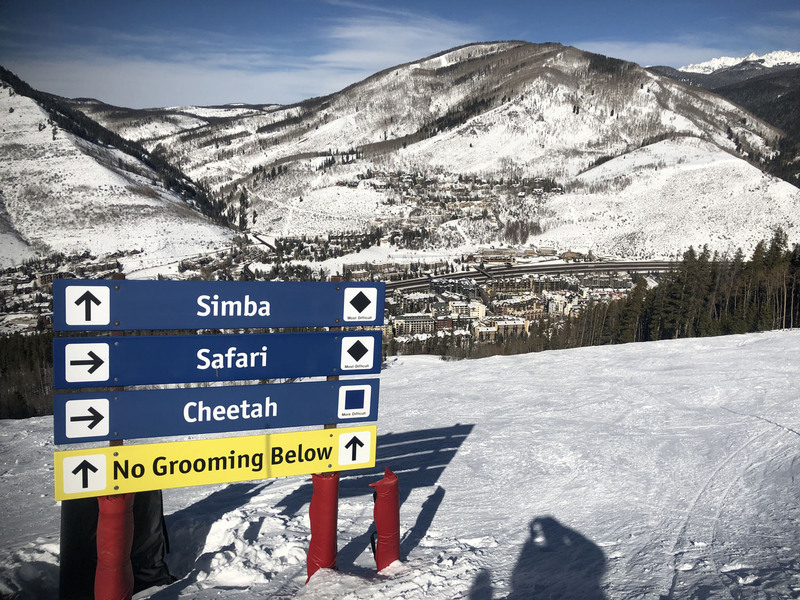 Take a run down Forever in Sundown and your legs will appreciate the name. 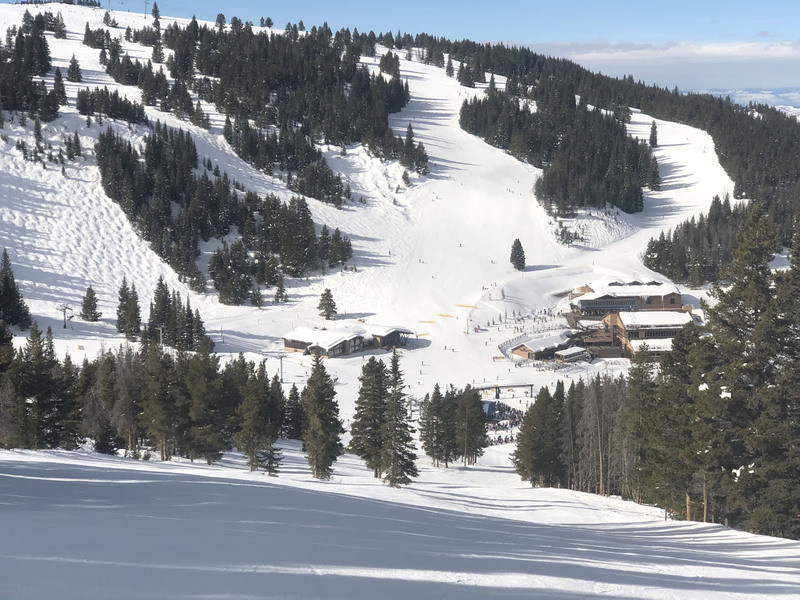 Plus there’s Pete’s Bowl in Blue Sky Basin and Game Creek Bowl taking you back to the front – Vail’s terrain just goes on and on. 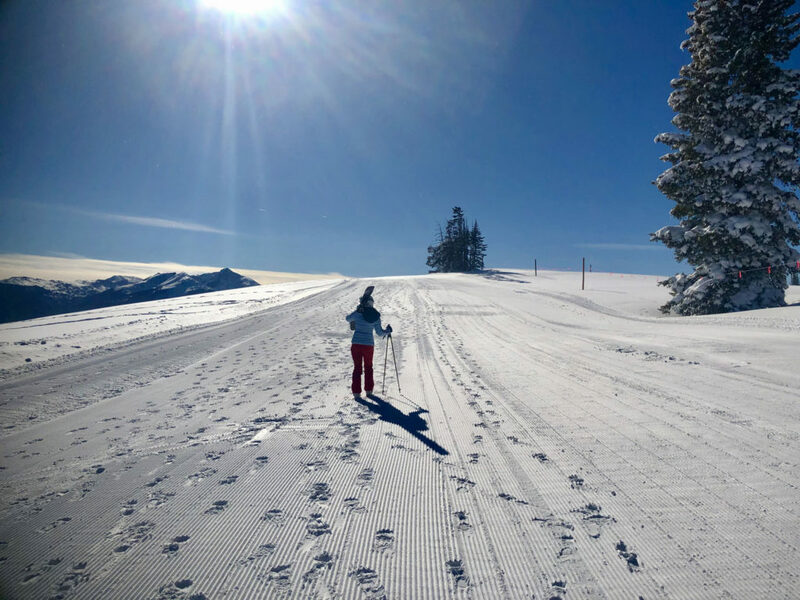 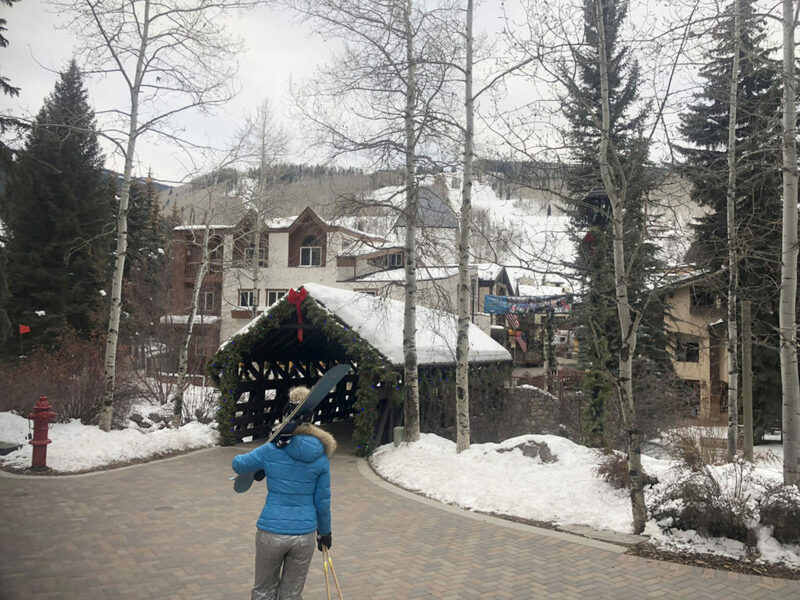 A family ski vacation to Vail promises epic skiing on the Front and Back plus après ski in Vail Village – its a winter snow globe of covered bridges, snowy streets and twinkling lights, outdoor heated pools, live outdoor concerts and sleigh ride dinners. 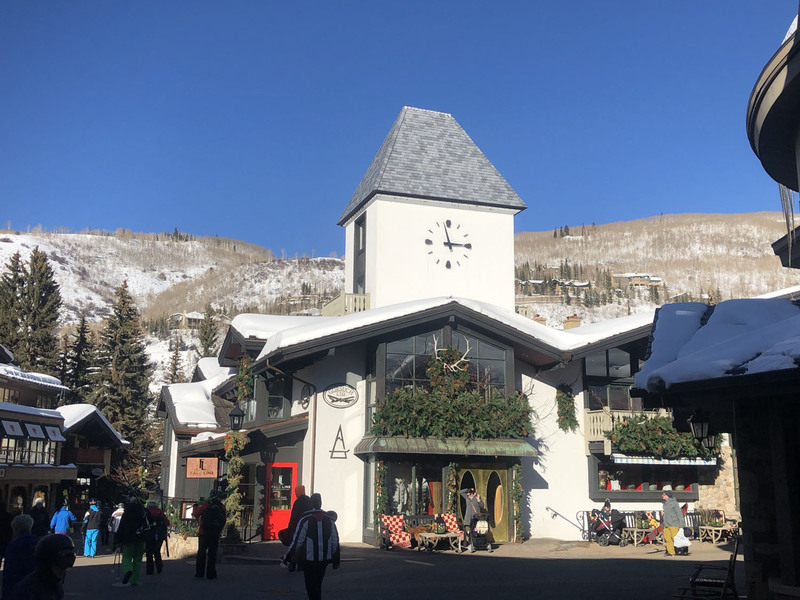 For Vail’s best ski in ski out location, we recommend staying at the Lodge at Vail, Vail’s original lodging property at the top of Vail Village. 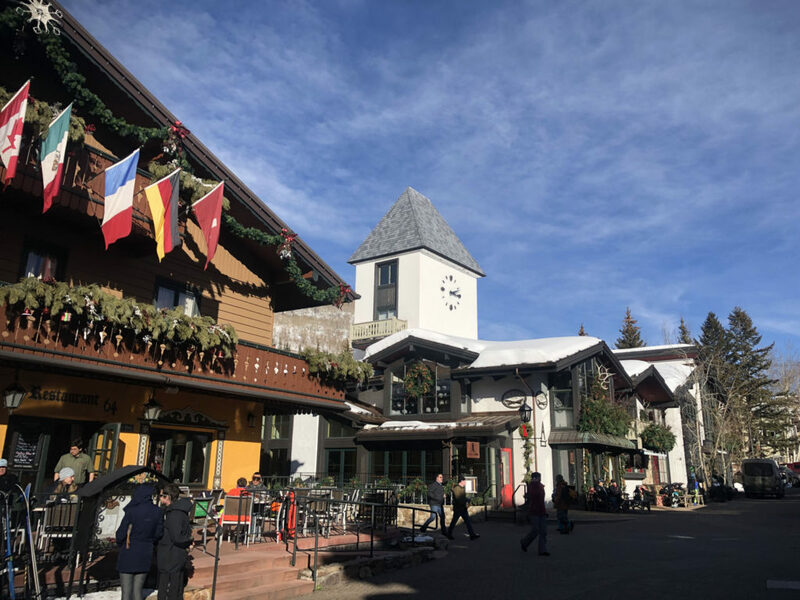 From here you can walk to everything, beautiful Bridge Street, The 10th Mountain Statue and museum, Vail’s best après ski bars like Red Lion, chic ski shops like Gorsuch, and Bol – the latest craze bowling alley eatery. Or you may just want to take the kids for an outdoor soak at the Lodge’s Spa followed by dinner of a decadent #7 burger at Elway’s (owned by the famed Broncos QB John Elway). 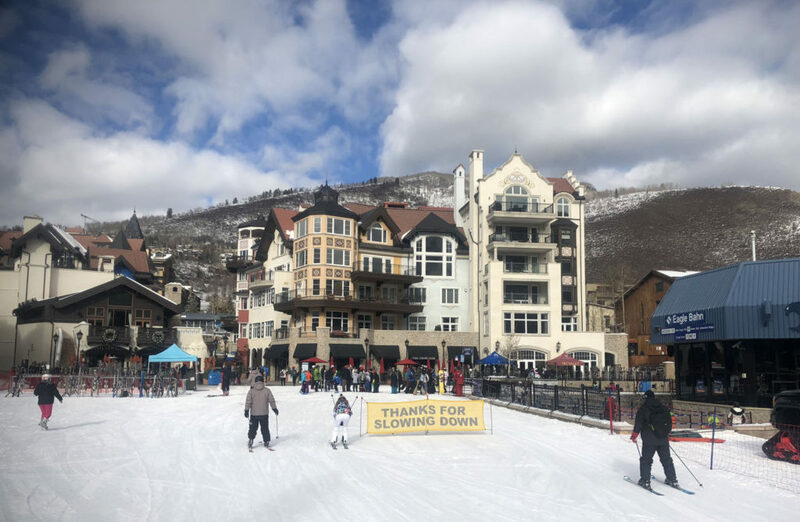 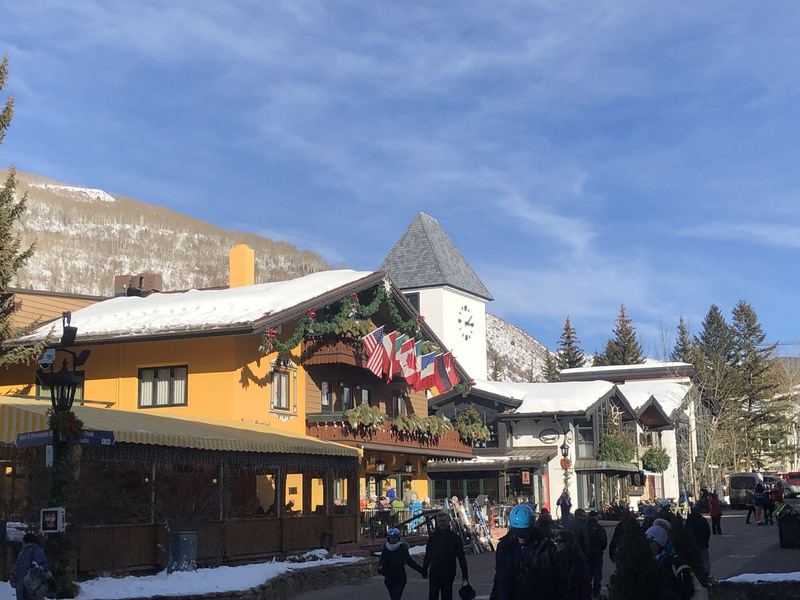 Vail’s Lions Head base area has recently transformed into a Disney-like atmosphere with the posh Arrabelle as centerpiece lodging, also a Vail Rock Resort property. 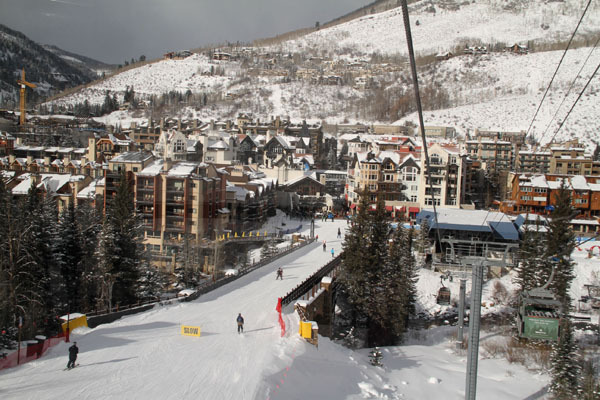 There’s also a Manor Vail, Four Seasons Vail, Vail Ritz Carlton and The Sebastian. 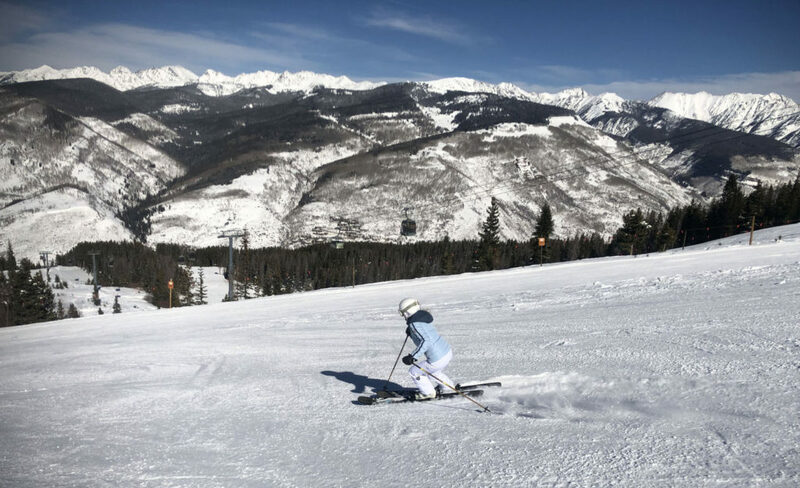 The free Epic Mix mobile app is- cool tech for your smartphone that tracks your vertical, your kids in ski camp, gives you medals for skiing and racing Lindsey Vonn – virtually, and Vail’s Epic Mix indicates wait times when Vail’s lifts get busy. 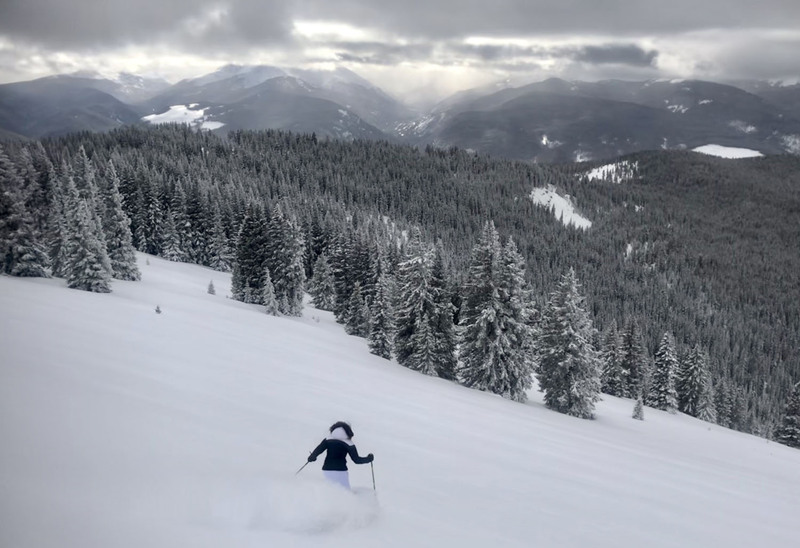 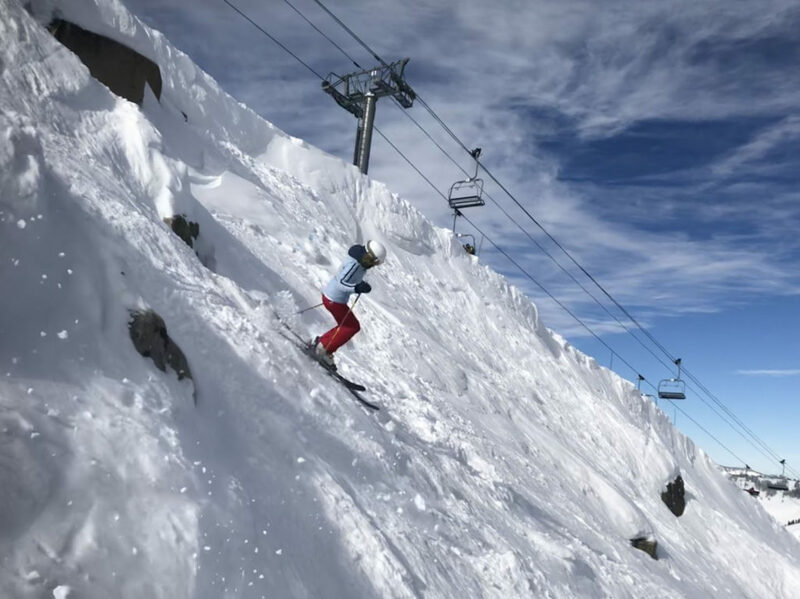 Buy the The Vail Epic Pass, a season pass priced under $850 (day tickets are $179, with early purchase valid for the entire seasons at 15 Vail resorts, plus Telluride, Crested Butte, Okemo and Mount Sunapee, plus 6 days of free skiing at Verbier Switzerland and Les 3 Vallees in France! 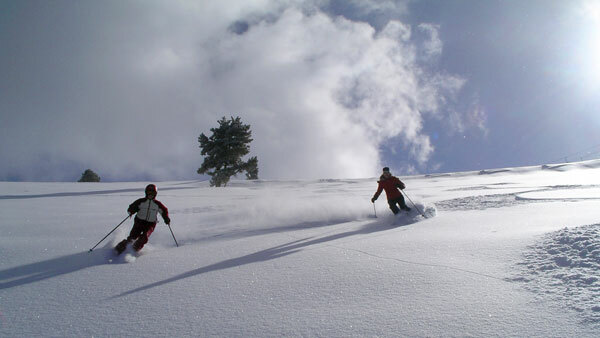 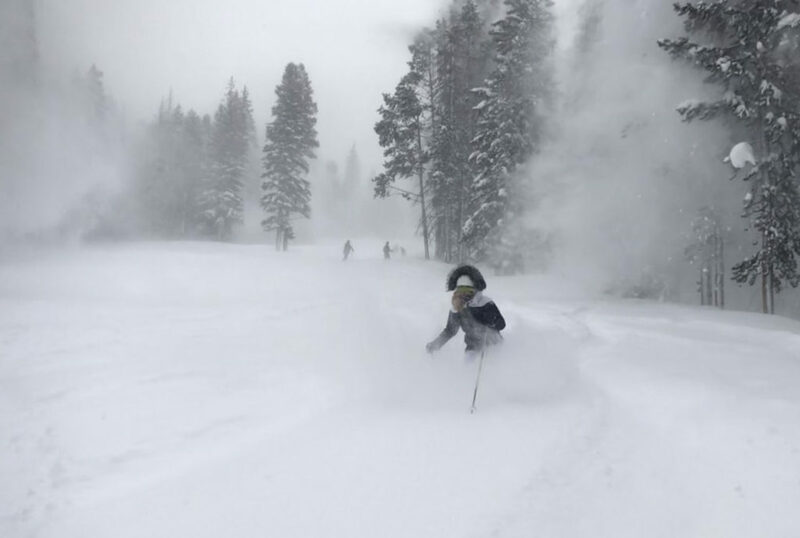 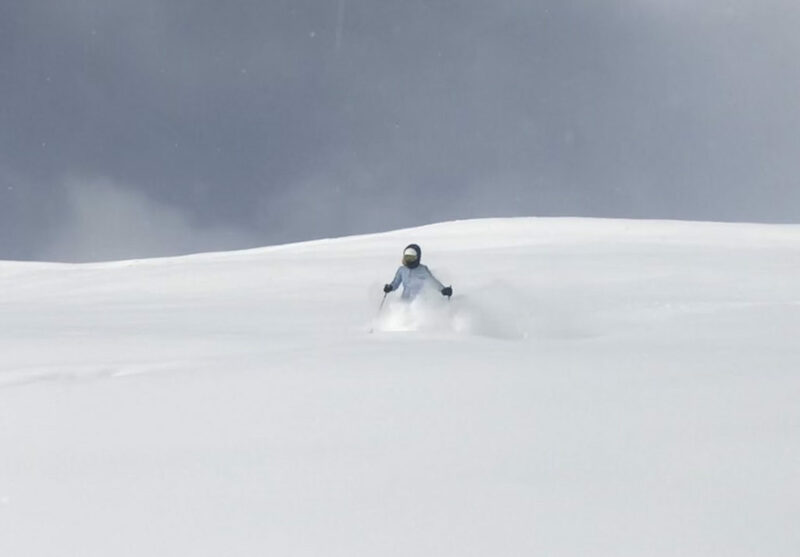 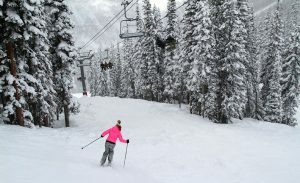 Vail Resorts now owns and operates the most ski resorts in North America – from Vail, Beaver Creek, Keystone and Breckenridge in Colorado, to Park City Mountain Resort which now includes the Canyons in Utah, Heavenly, Northstar and Kirkwood in Lake Tahoe California, Afton Alps and Brighton in Michigan, and Whistler Blackcomb. 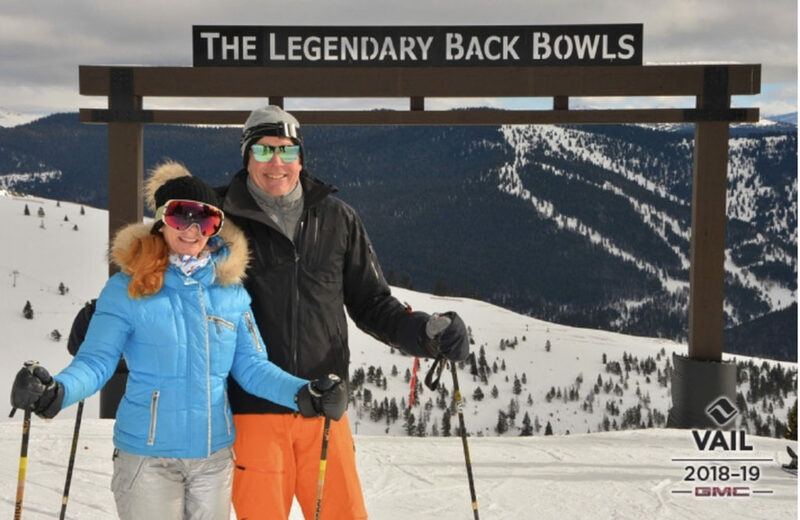 Be sure to ski Vail – it should be on every skiers bucket list – and bring the kids!